AI is increasingly an interdisciplinary area, and your membership supports these goals. Join us today! Both members and non-members are welcome to join our mailing list to receive timely announcements of interest to researchers and practitioners. 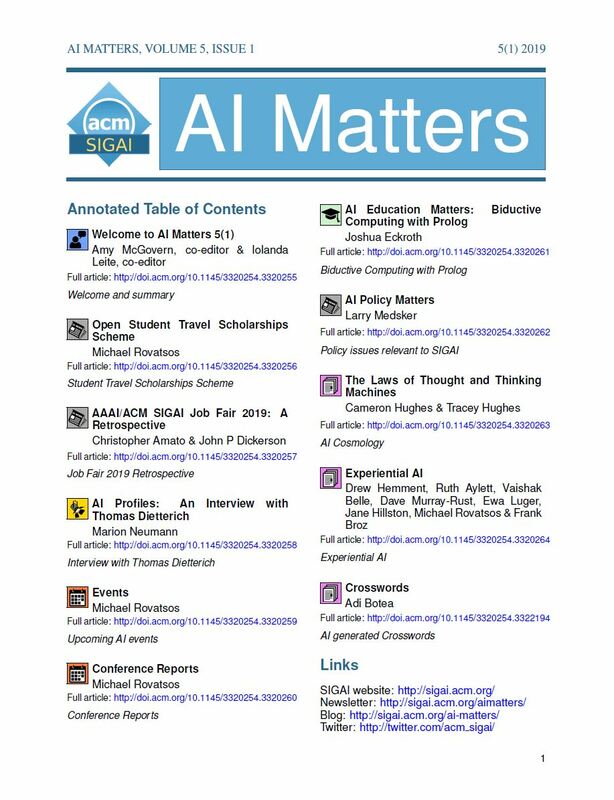 Apr 8, 2019 The AI Matters 5(1) 2019 is out! Dec 23, 2018 The AI Matters 4(4) 2018 is out! Oct 15, 2018 The AI Matters 4(3) 2018 is out!